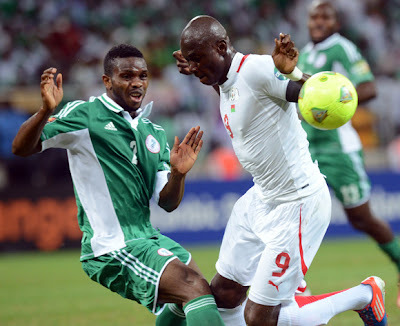 Coach Stephen Keshi, once again, have dropped skipper Joseph Yobo from a series of matches involving the Super Eagles of Nigeria, which include World Cup qualifiers, in May and June,Kasimpasa forward, Kalu Uche, has finally earned a recall to the Nigerian national team on the back of his Turkish exploits this term. Yobo was overlooked for last month’s 2014 World Cup qualifying match at home to Kenya leading to a huge row with coach Keshi this week. Keshi has again kept out the Fenerbache of Turkey defender from a busy schedule between the end of May and mid-July during which the African champions could play as many as 10 matches. Yobo, with 94 caps, holds the most caps for a Nigeria international and he has said Keshi has been “disrespectful” to him, while he insists he is “still very, very relevant” to the national team. Regular squad players like Vincent Enyeama, John Obi Mikel, Efe Ambrose, Godfrey Oboabona, Ahmed Musa, Kenneth Omeruo, Elderson Echiejile and Victor Moses are also named for the June games. Top scorer of the 2013 Africa Cup of Nations Emmanuel Emenike has also been recalled after a long absence caused by injury in South Africa. FC Cologne striker, Anthony Ujah, is getting his first call up. The 22-year-old has scored 11 goals for his club in Germany's second tier. Keshi also named 12 players from the Nigeria Professional Football League (NPFL) for the June games. The African champions have a high-profile friendly against Concacaf champions, Mexico in Houston, Texas, USA on the last day of May before two World Cup qualifying matches in Nairobi and Windhoek that come before the 2013 Fifa Confederations Cup in Brazil. Nigeria play Tahiti, Uruguay and Spain in Brazil but will play two more games if they advance to the knockout stage, before returning to Africa for a 2014 African Nations Championship qualifying fixture against Cote d’Ivoire. The African champions are expected to play about 10 games between May and July. Twelve NPFL players and technical/backroom staff are expected to leave Abuja for the training camp in Nuremberg, Germany on May 15 while the other players will link up at the camp. The Nigeria Football Federation (NFF) has also explained that players based in Russia, Ukraine and Norway may only join the team for the matches against Kenya and Namibia, and for the Fifa Confederations Cup.